Your experience in EVERY moment – This. Only This. 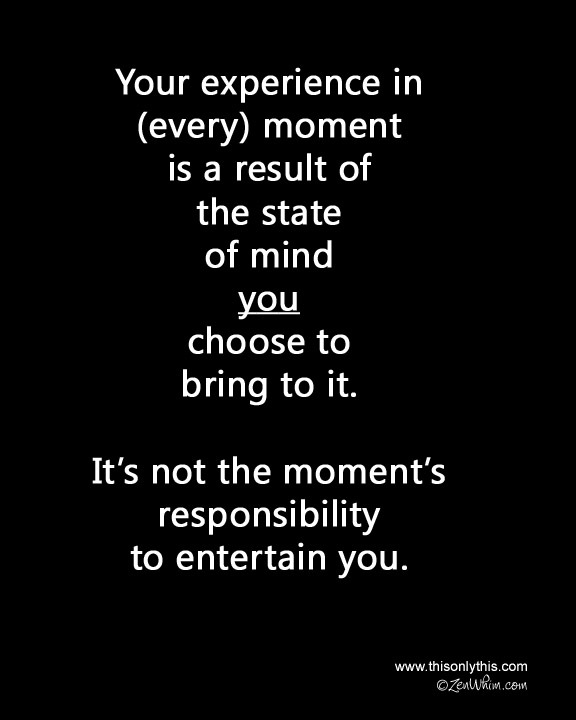 Your experience in EVERY moment is a result of what state of mind U choose to bring to it. This entry was posted in Images, Mindfulness and tagged meditation, Mindfulness, mindfulness meditation. Bookmark the permalink.